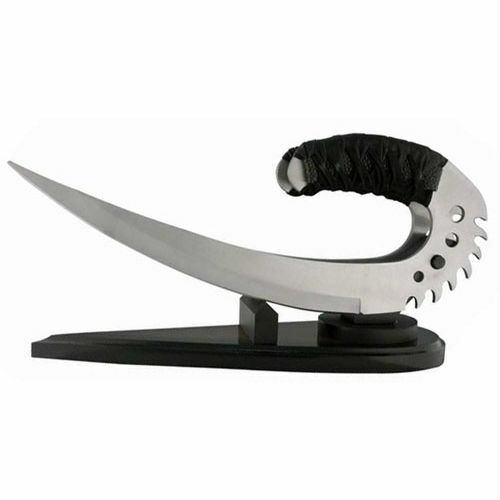 Riddick's Saber Claws based on movie knife. Blade: full tang, 420J stainless steel. Leather wrapped handles. Includes wood display stand. 3 1/2" closed. Black finish 440 stainless blade with dual thumb studs. Black finish handles in the shape of a grenade. Black finish stainless pocket clip. Linerlock. 4 5/8" closed linerlock. Black finish 440 stainless blade with dual thumb studs. Textured gray finish metal handles. Black finish stainless pocket clip. 3 1/2" closed linerlock. 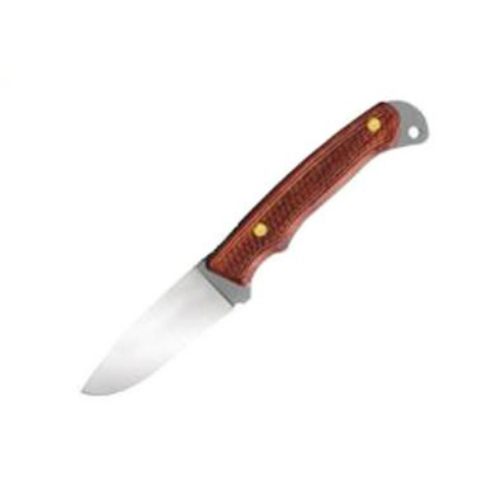 2 1/2" black finish 440 stainless blade with dual thumb studs and extended tang for easy one-hand opening. Aluminum handles in shape of grenade. Black finish stainless pocket clip. 3 5/8" closed. 2 5/8" 440 stainless black coated blade with dual thumb studs and thumb ridge. 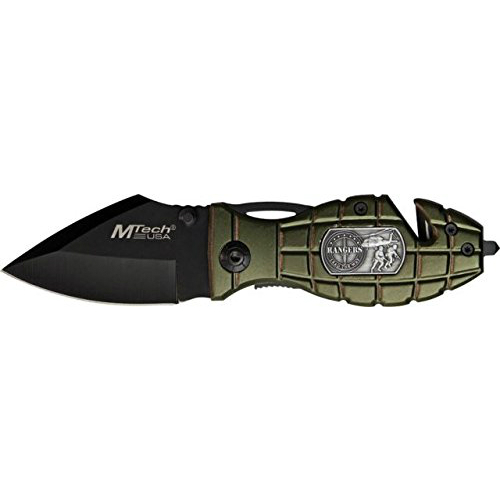 Olive aluminum grenade shaped handles with Sniper inlay dog tag shield. Integrated seat belt cutter and glass breaker. Black stainless pocket clip.